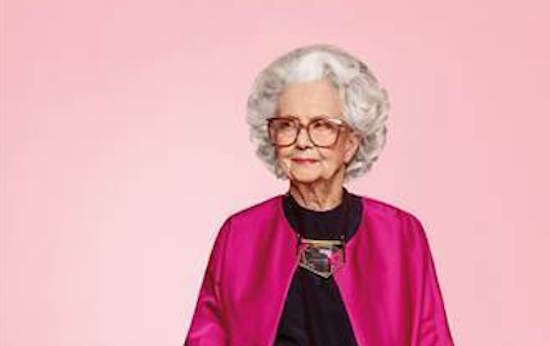 Thousands of fashion models have graced the pages of Vogue during its century-long history. 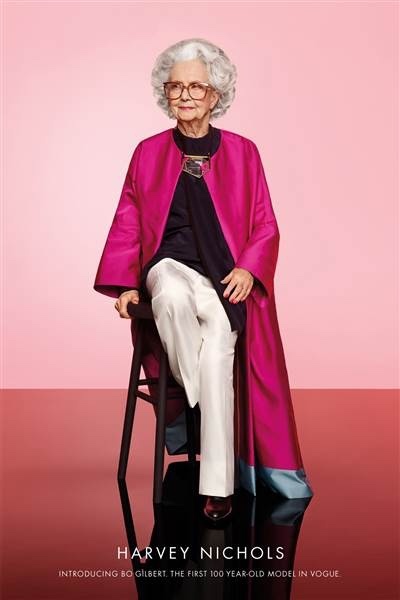 But the issue marking the magazine’s 100th anniversary arriving on news stands last week features a one-of-a-kind fashionista — Vogue’s first 100 year-old model. Bo Gilbert was born the same year Vogue published its first issue – 1916. British department store Harvey Nichols dressed her in “bespoke Valentino glasses, a Dries Van Noten coat, a Victoria Beckham top, a Lanvin necklace and trousers by The Row” for the shoot that’s launching the store’s latest ad campaign in Vogue. Despite her personal style showcased in the video, this was Gilbert’s first ever time as a fashion model. Her reaction to the finished image is priceless.